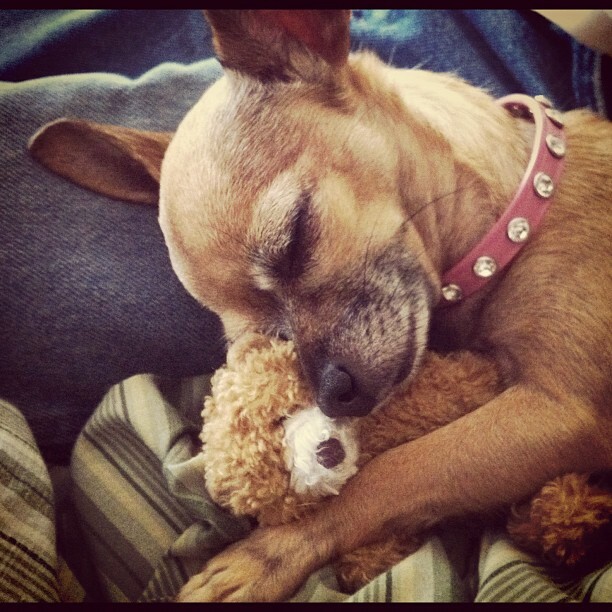 this little teddy bear is bailey's favorite toy. it's really hard to find tiny toys for tiny dogs, believe me i've looked, but at only 3 1/2" this little teddy is just her size. she doesn't have the jaw strength to squeak it so since the squeaker is removable, we took it out and stuffed him with cellophane. she loves the crinkly sound it makes now. if it was so hard for me to find tiny toys, i figured it must be hard for others to find them too. because of this, i decided to carry them at kibbles place. (these tiny toys are also available as a froggie and a ducky). 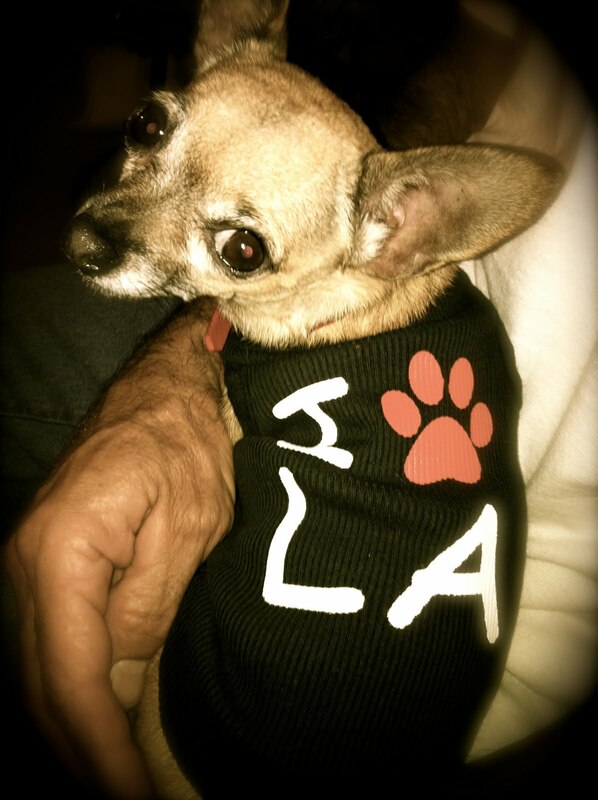 yes, bailey loves la. there are so many dog boutiques and outdoor cafes, she is welcome wherever we go. the sun is usually shining so having a meal outdoors is fine with us; she loves the sun. los angeles is very dog friendly and bailey loves it! i know this blog is all about bailey but i would be remiss if i didn't take a moment to acknowledge our 1st rescue, kibbles. 2 years ago today, we lost her to cancer. her health had been in decline for about a year and we knew this day would come but i don't think anyone can really be ready for the last goodbye. 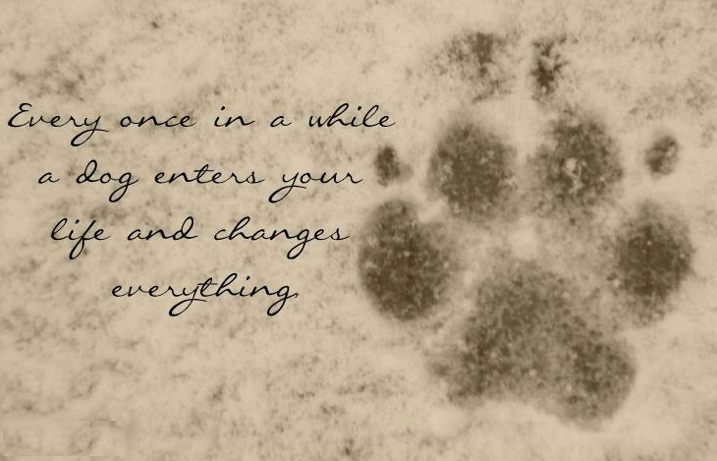 i had never been present for the final moments of one of our dogs before, so i didn't know what to expect. 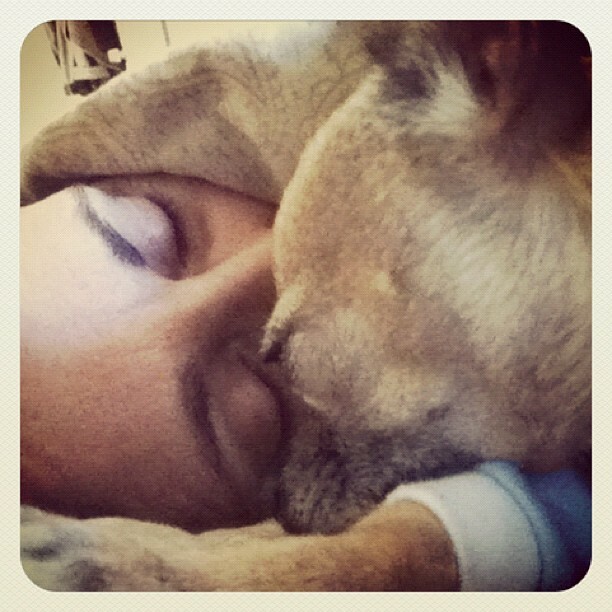 though she went peacefully, and i held her through it all, it was the most heartbreaking thing i have ever been through. 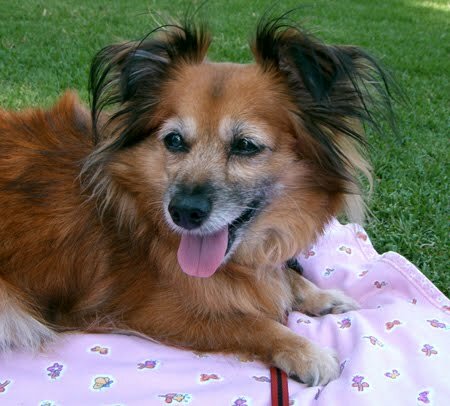 she was our once-in-a-lifetime dog and remembering our final hours together brings a rush of tears to my eyes and a pain to my heart that cannot be described. i literally lost a piece of my heart the day i lost kibbles. she started out as just another mutt at the shelter but ended up as a beloved member of our family for almost 15 years. 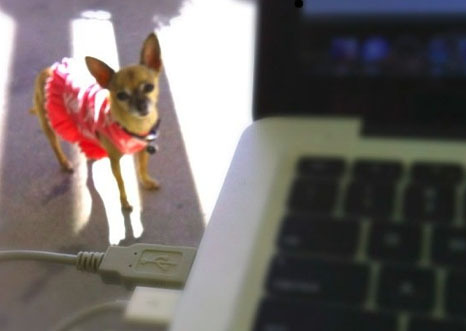 i love you kibbles and i miss you each and every day. 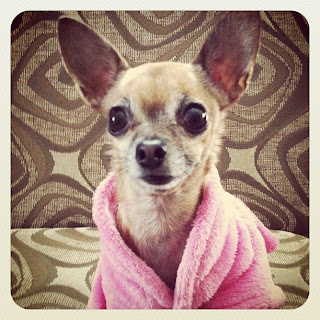 after bailey gets bathed in her life's an itch shampoo by pet head, she likes to lounge around the house in her pink bath robe. she's such a diva. 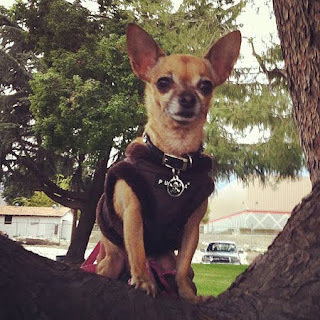 the other day when we went for a walk at upland memorial park, i noticed this tree. the way the branch grew off the trunk was the perfect place for a photo. hubby held little bailey in place and i snapped the shot. picture perfect. i love this picture of me & bailey. it shows the peace & tranquility of the morning before the day begins. 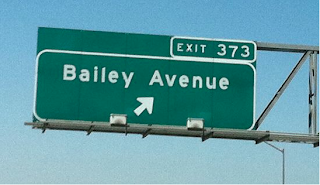 as you can see, bailey is the first thing i see in the morning. as long as i'm sleeping, she'll stay sleeping but as soon as she sees my eyes open, i get bombarded with good morning kisses. when we took our trip up to san francisco last year, we passed through san jose. 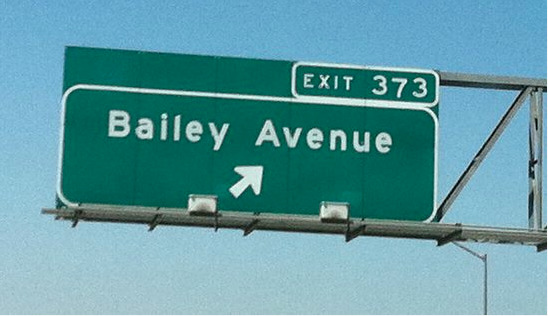 what a surprise to see a bailey avenue exit on the freeway! i just had to take a picture. i think it came out pretty good considering i took it from a moving vehicle. 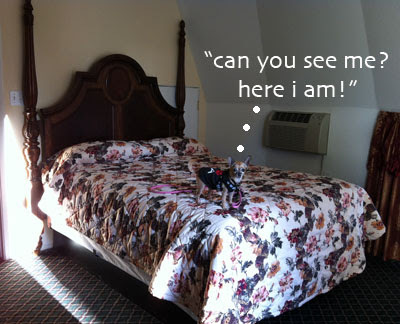 i always feel like somebody's watching me | and i have no privacy | i always feel like somebody's watching me | tell me is it just a dream? fyi: did you know michael jackson sang the chorus? 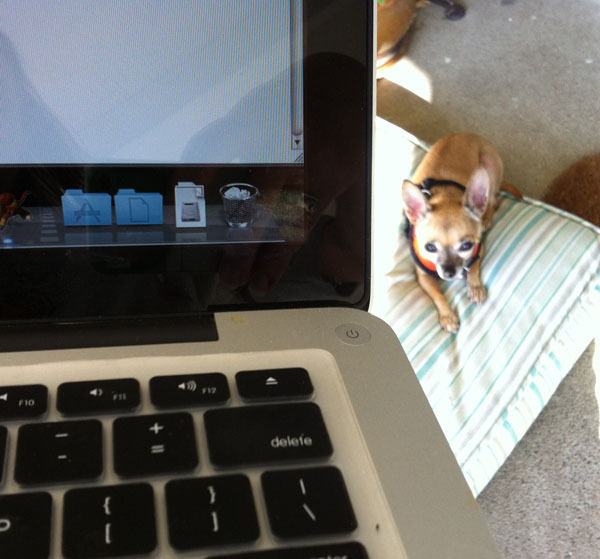 Labels: bailey, chihuahua, computer, michael jackson, photo by j.
as with children, when traveling with your pooch, buckle up! 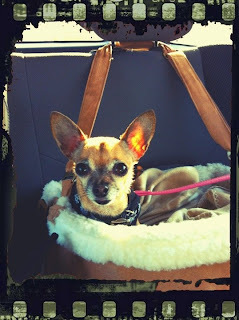 bailey loves to go for car rides in her comfy me & zelda booster seat. she's so tiny, we had to stuff the bottom with a blankie, but that makes it all the more comfy for her. 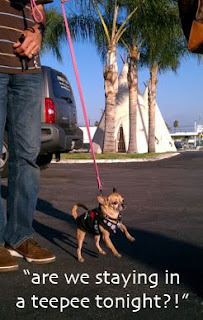 we took a mini getaway this weekend and stayed at the wigwam motel on route 66. bailey was very excited to stay in a "real" teepee! the motel's been there since 1949 and i must say, we really did get our kicks on route 66. the motel is adorable and dog friendly!!! 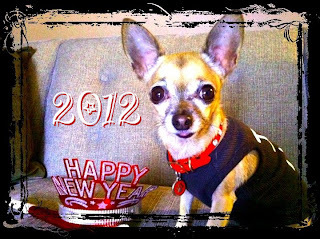 Labels: 2012, bailey, chihuahua, new year, photo by j.